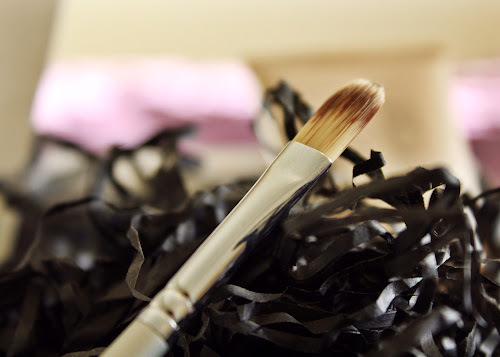 Mimi Flys: Unboxing the Latest In Beauty 'Get The Gloss' Collection! 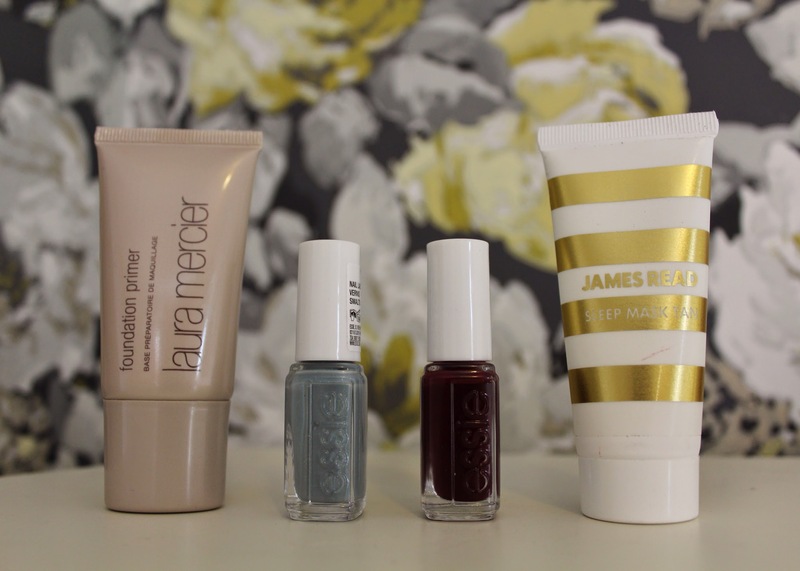 Unboxing the Latest In Beauty 'Get The Gloss' Collection! I love beauty boxes. I love the feeling of opening a little package each month, almost like unwrapping a mini monthly present to yourself. 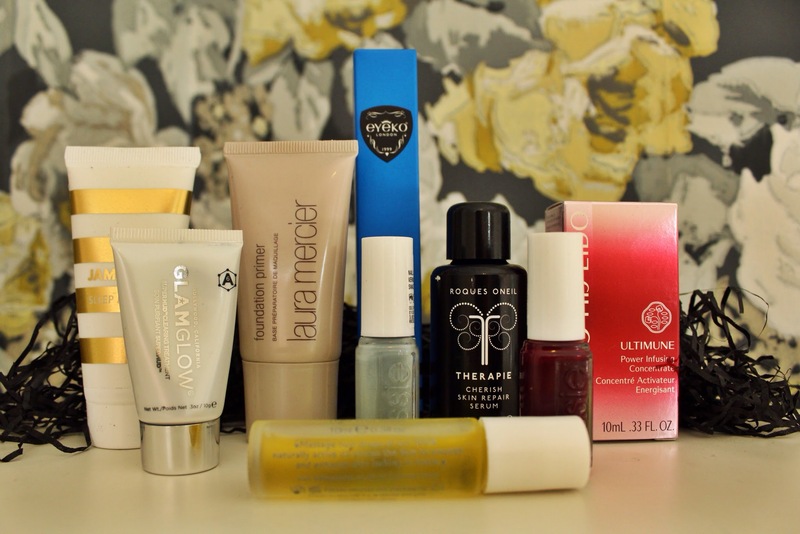 Over the years I've tried all the big names in beauty boxes. You name it, I've probably tried it. But what I haven't always loved is blindly paying a monthly subscription, especially when items inside the boxes can vary from month to month. Opening a 'beauty' box that's full of tiny samples and a package of green tea can leave you feeling a little out of pocket to say the least. Recently, I've been favouring beauty boxes that allow you to purchase just the box you want with no subscriptions and the added bonus of knowing exactly what's inside. I like knowing if the products inside are relevant to me before I part with my cash. I also like that each box is the same - no more receiving a dud box and then seeing a load of glowing reviews of other peoples! For this reason, since finding out about the Latest In beauty Collections I haven't looked back (or ordered any other brand) since. Essie Nail Lacquer ~ Not one but two Essie shades, both of which are extremely wearable and totally up my street. Shearling Darling is a plush mahogany, one of my favourite type of shades to wear in the winter. Parka perfect is a cool shimmering grey, ideal for spring. Essie polishes usually retail at around £8 a bottle, and these are only a teeny bit off full size. Laura Mercier Foundation Primer ~ One of the reasons I ordered this box is down to this product being included. I absolutely love this creamy and lightweight primer, and I have been using it exlusively for around 6 months now. Because 'LIB' have included it with their last two boxes I haven't actually had to purchase this myself yet - even though I've constantly had one in my make up bag since last summer! GlamGlow Supermud Clearing Treatment ~ I was super excited that a Glamglow product was included in the box! So excited that I've almost used it all up, and I've only had the box for a couple of days! 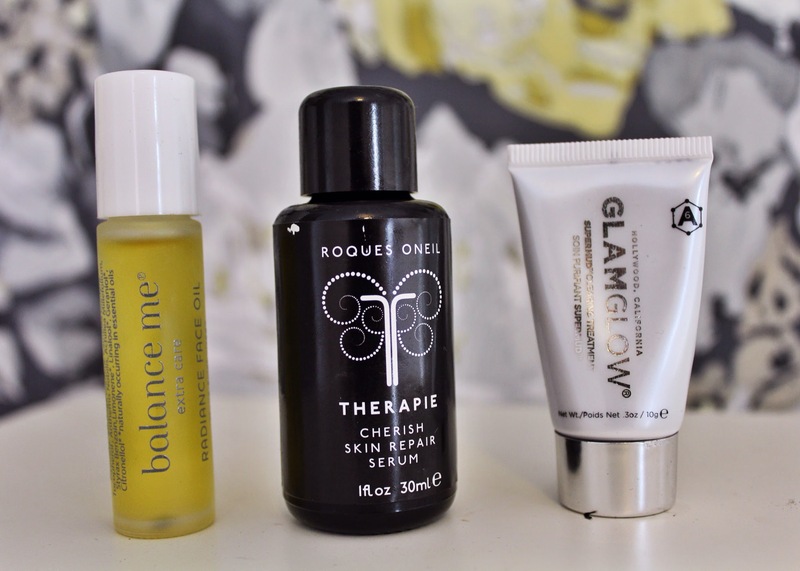 This is a great way of trying uber expensive Glamglow without splashing out too much cash first, a really valuable addition. I've used it three times and still have over half left. 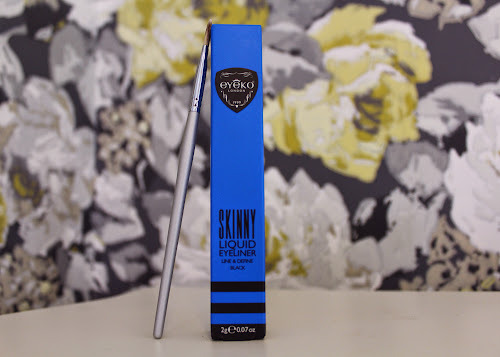 Eyeko Skinny Eyeliner ~ Recommended by Vogue, super black and used by Alexa Chung. I don't think there is much more to say... Other than this is actually the full sized product, which retails for £12.00 alone. James Read Sleep Tan Mask ~ Another product I've tried before and loved! I jumped at the chance to have this generously sized sample, it will be perfect for travelling. I like how this leaves your skin feeling amazing because of the added Hyaluronic acid, and you wake up looking like you've had a weekend in Barbados. The full 100ml retails at £25 and this is a 25ml sample. Balance Me Radiance Facial Oil ~ Said to boost the skin and revive skin cells with skin boosting essential oils and a yummy smell. I was suprised to see the bottle is complete with a rollerball applicator, perfect because I tend to over pour oil and waste a lot of product accidentally. You can roll this straight into the face and neck before bed and wake up to nourished skin. I can't wait to use it! Shiseido Ultimate Power Infusing Concentrate ~ Apparently 20 years of research went into this strengthening and repairing serum which is said to resist the impact of future ageing. I'm yet to try this out, but it seems like a quality product to add to my skin care regime. Can't hurt can it?! Therapie Roques Oneil Cherish Skin Repair Serum ~ This particular serum is for the body, and I tried it out after a long soak in the tub last night. I'm a huge fan of body oils, and this sank in super quickly and had the most amazing 'spa like' smell. I felt very pampered, and loved the heavy glass bottle. Ingredients are organic and ethically sourced too. Daniel Sandler Concealer Brush ~ I haven't tried this concealer brush yet but it's always good to add a new brush to the collection. I've heard brilliant things about Daniel Sandler brushes, and this particular one has won awards so I can't wait to try it! The brush retails at £12.25 so is another great addition to the box. Latest in beauty boxes do tend to sell out quickly, so I recommend signing up to their e-mail alerts so that your quick of the mark once a box gets released (I totally missed the beauty bloggers box - it sold out within a day!) I've loved every collaborative box LIB have made so far, and I highly recommend them. I'm tempted to buy another one as a back up ;) This particular box can be found here. Have you tried LIB Collection Boxes? What are your thoughts? 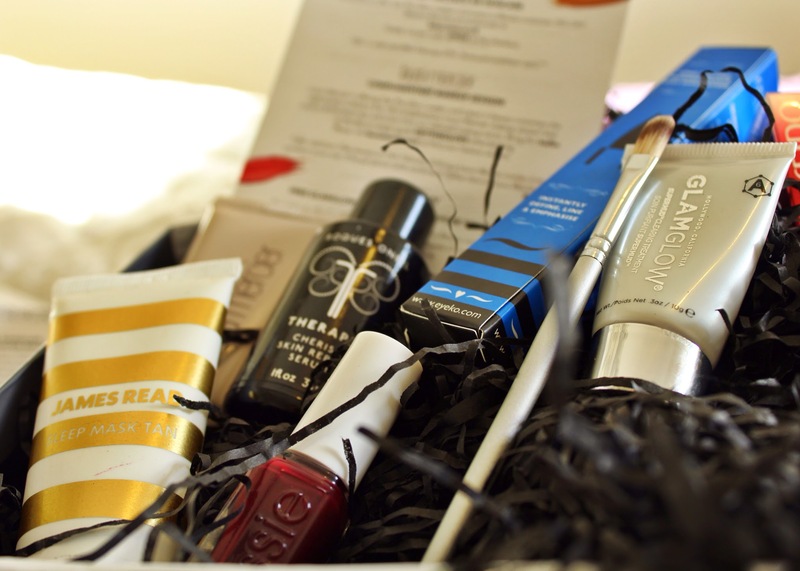 This is such a good beauty box! 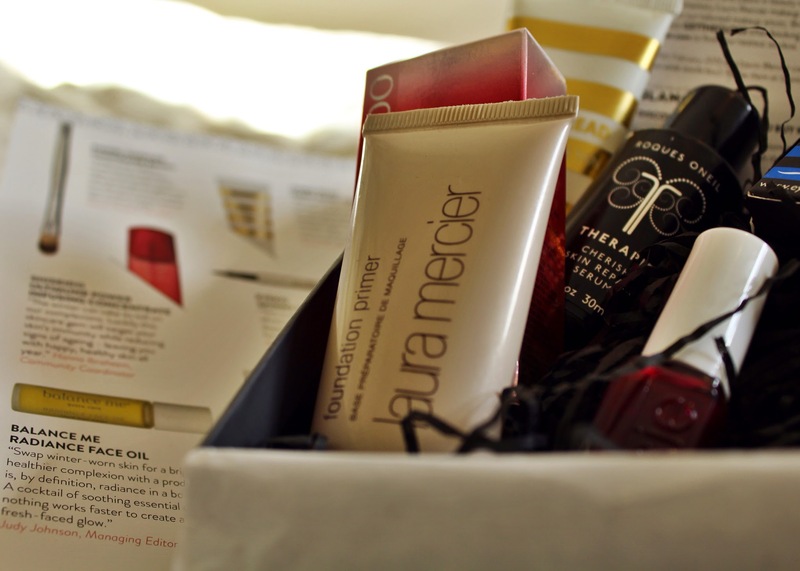 There's a lot in here i'd like to try, especially the Laura Mercier Primer.